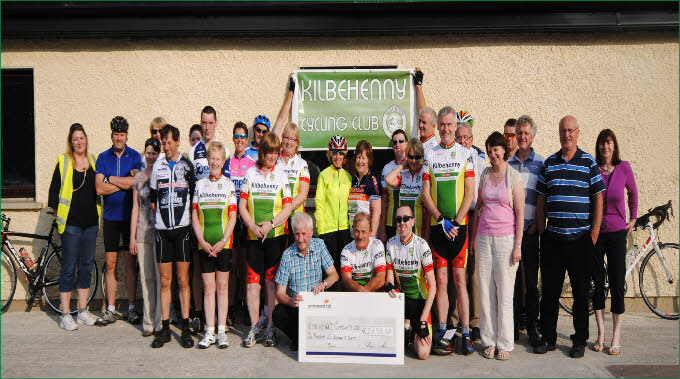 Kilbehenny Cycling Club was launched on 24th September 2010. New members will be fully supported within the club. Anybody joining who is new to exercise, will be taken on a suitable route. 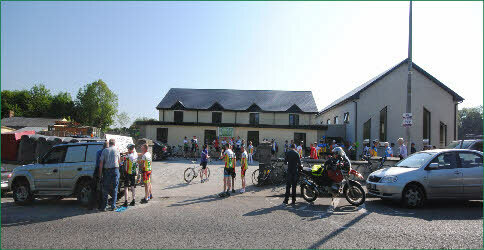 To create a club with a great environment for its members to explore the local cycle routes. Socialise by meeting new people and gaining new friends along the way. 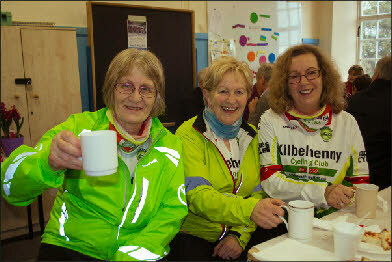 Help local communities by supporting their charitable cycling events. Continue to look after our own community as best we can. 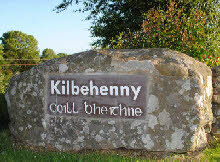 Sunday mornings 10:00 am at Kilbehenny Community Centre and, when the evenings lengthen, Wednesday evenings also. 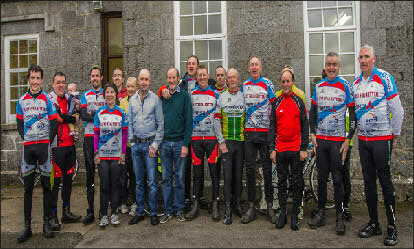 We would like to welcome all members, especially the new who recently joined the club, we are delighted to have you on board. Our cycling routes are the best available. We aim to cater for all levels of cyclist from the beginner right up to the professional. The joys and benefits of cycling are constantly being highlighted as one of the best form of exercise. All you need is a roadworthy bike, a helmet in good condition, suitable footwear and comfortable clothing with hi vis qualities to ensure safe and enjoyable outings. With a strong membership and a great year of events planned, there is every reason to become a member. Do join us and let it be your health transformation!